Our emphasis is on teaching correct driving habits, while making it fun and easy. News Bulletin: 8 Hour adult safe driving course available in English and Spanish. Call today to sign up (860) 296-0095. 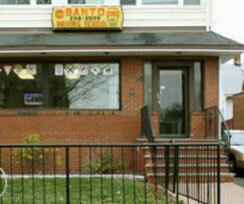 “In 2012 I attended Santo’s Driving School. I received the education and skills required to become a safe and responsible member of the driving community. During my on-road driving lessons I was constantly encouraged and felt very comfortable. 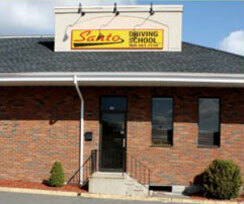 At Santo Driving School, LLC, our emphasis is on teaching our students correct driving habits. We specialize in driver education for teenagers as well as adults. In fact, our business has been training teenagers and adults in competent driving strategies since 1966. We employ certified professionals skilled in driver training regardless of your level of competence. 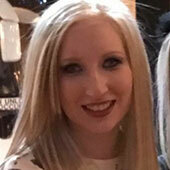 Our Instructors are fluent in English, Italian and Spanish. Our number one concern is customer satisfaction. We believe this can only be accomplished by providing superior service, quality instruction and competitive pricing. We are committed to business integrity and honesty, through hard work, organization, cleanliness, courtesy, and communication. We believe that “Word of Mouth” advertising is the most effective kind. However, we realize that it only comes with customer satisfaction, and so our entire team works hard to exceed all customer expectations by providing unparalleled service and instruction. Check out some of our most common FAQ’s and a peak in at one of our classes. How do I obtain my learner’s permit? You must make an appointment on the State of CT DMV website. 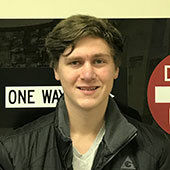 How do I prepare for the CT Learner’s Permit Test? Read and study the State of Connecticut Driver’s Manual located on our Adult and Teen Service pages. 25 Questions! You must get 20 correct to obtain your learner’s permit. I just turned 16, how long before I can get my drivers license? (a) 4 months if you take the Full Teen Course. (b) 6 months if you take the minimum state required 8 hour safe driving course which includes the 2 hour parent training class. I am 15 years old, can I start the classroom portion at Santo Driving School, LLC? 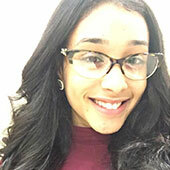 No, Connecticut state law does not permit you to start driving school before you reach your sixteenth birthday. When can I make an appointment for my learner’s permit? Up to (1) one year prior to your sixteenth birthday. Are You Looking For A Driving School in CT? 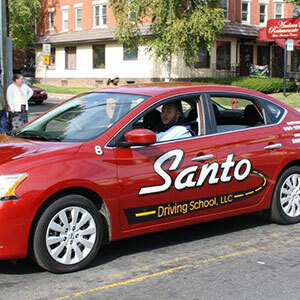 At Santo Driving School, LLC, our emphasis is on teaching our students correct driving habits. We specialize in driver education for teenagers as well as adults. In fact, our business has been training teenagers and adults in competent driving strategies since 1966.